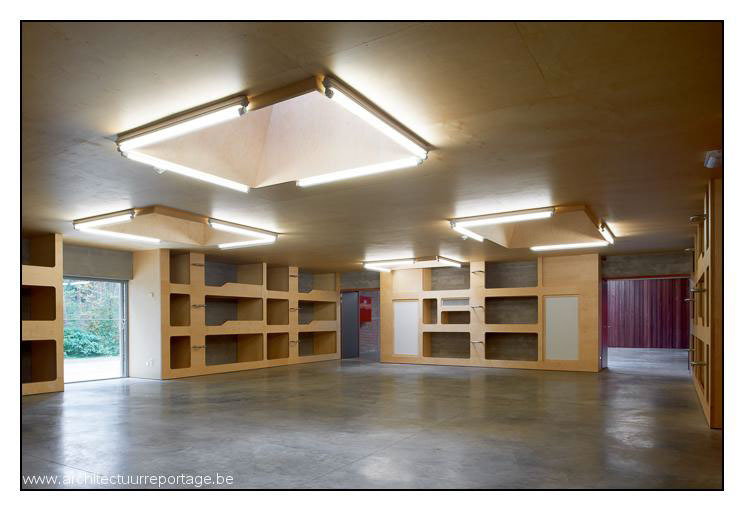 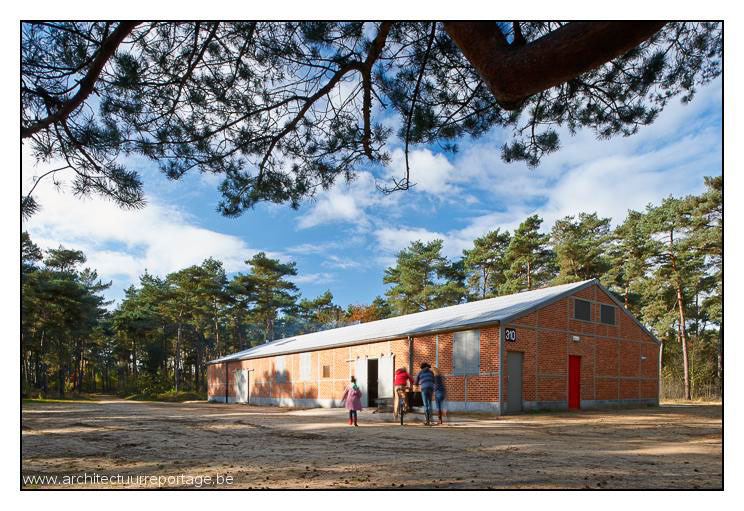 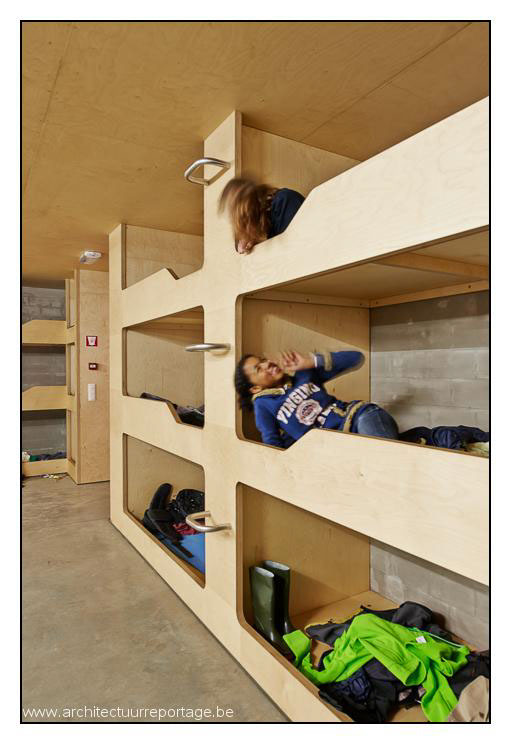 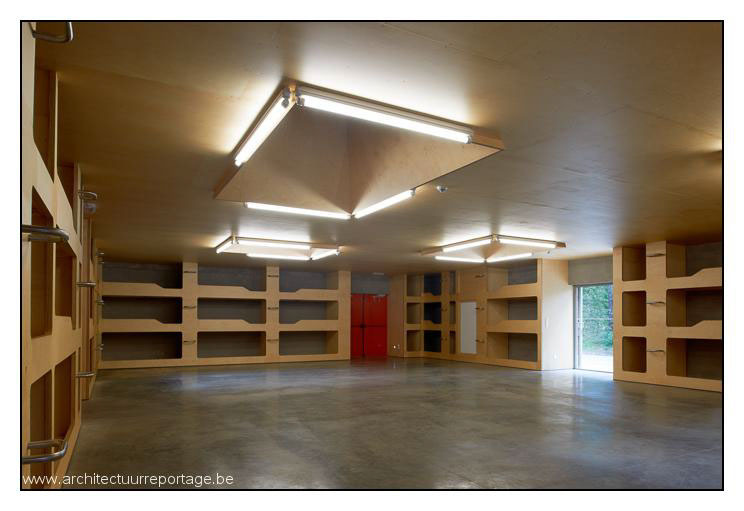 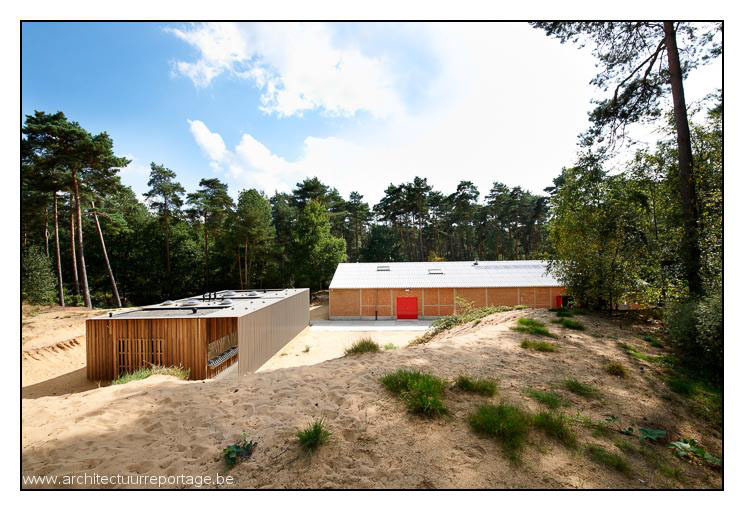 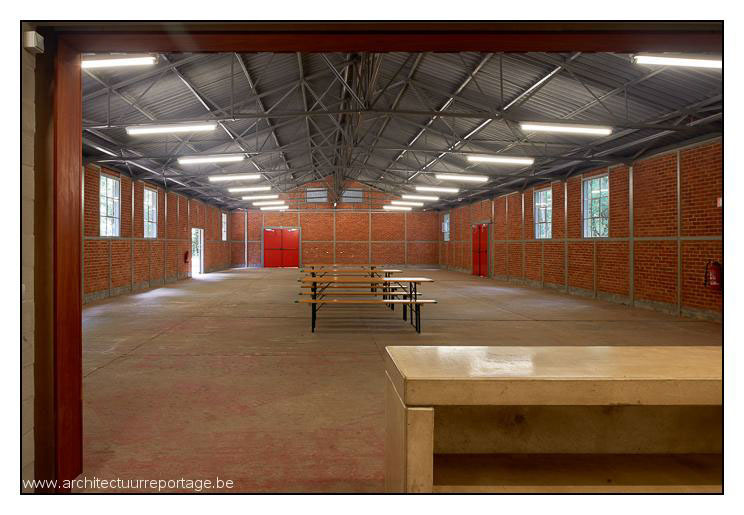 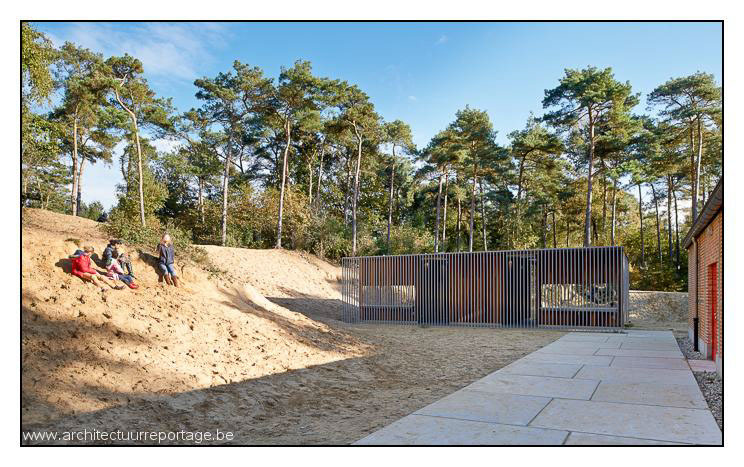 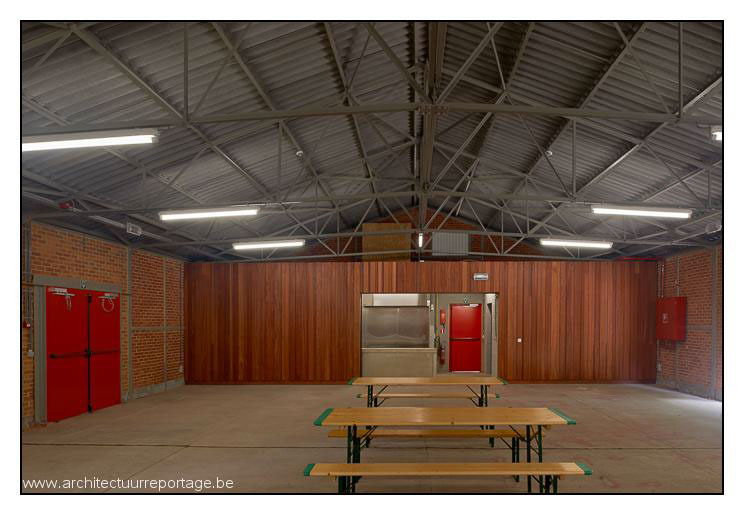 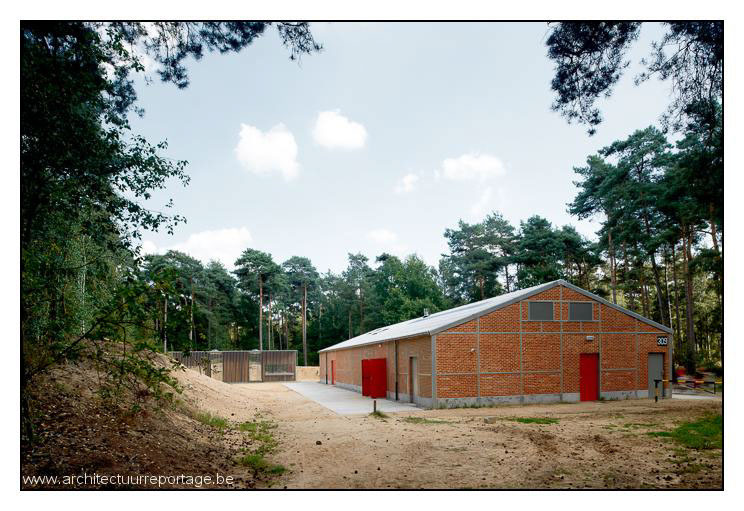 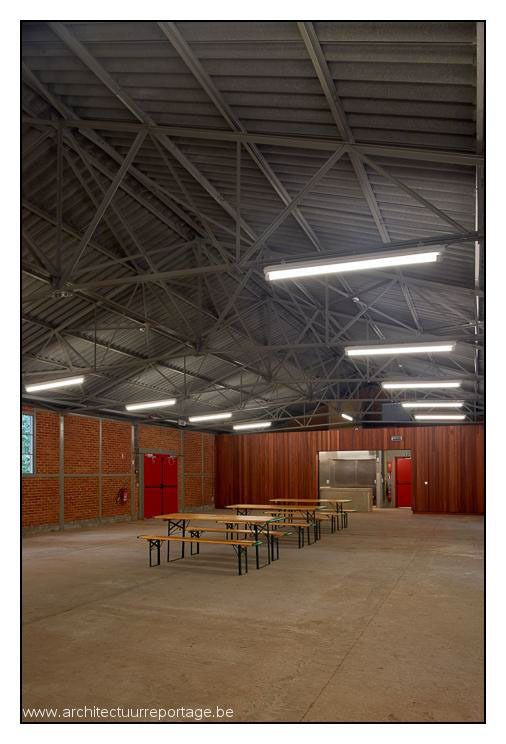 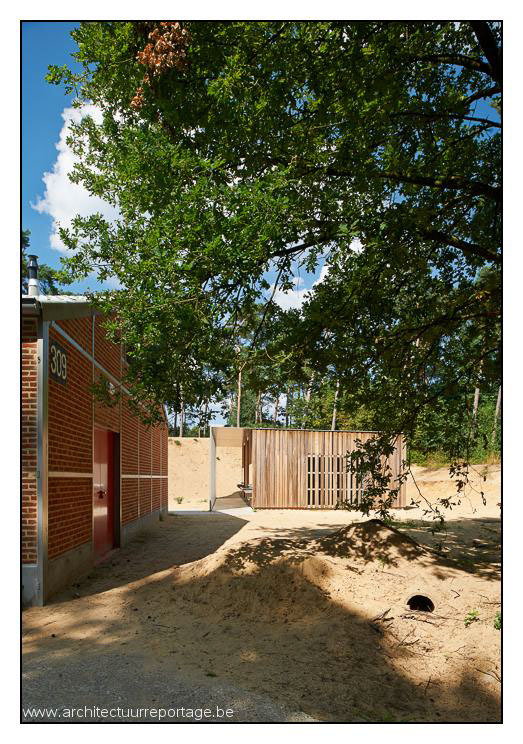 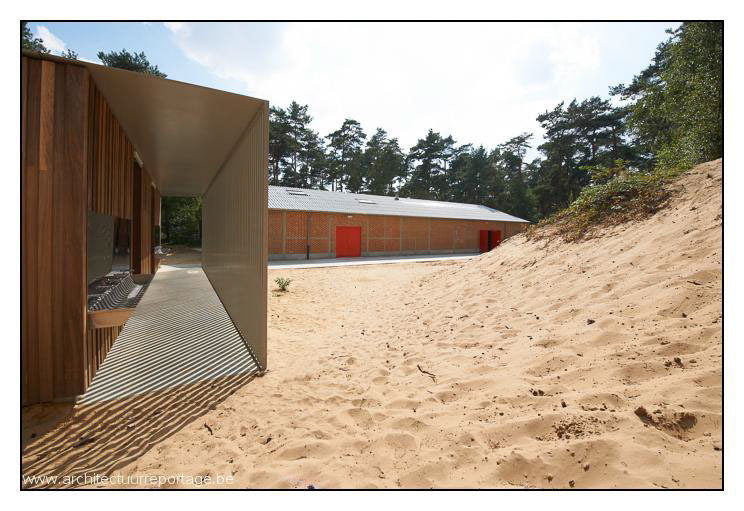 Assignment for Teema Architecten - http://www.teema-architecten.com Shed camping in former military domain Hidden between the fir trees of a former military domain in Flanders are three renovated military sheds. 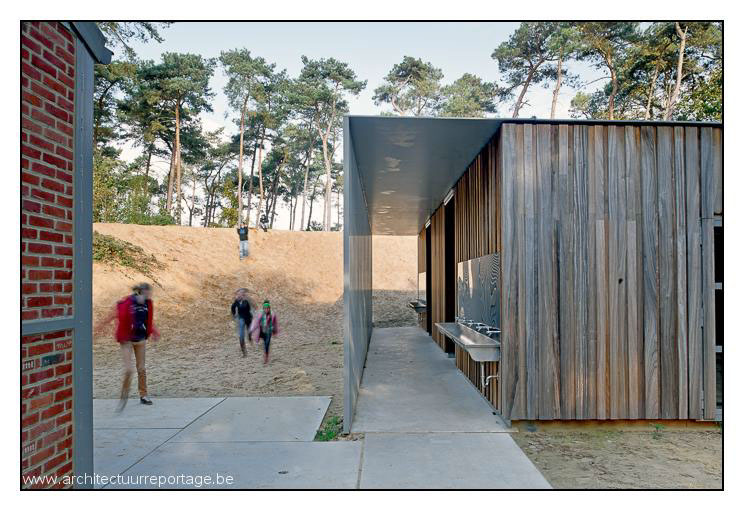 With this new camping concept the low budget recreation domain 'De Hoge Rielen' wants to experiment with diffuse forms of more luxurious camping. 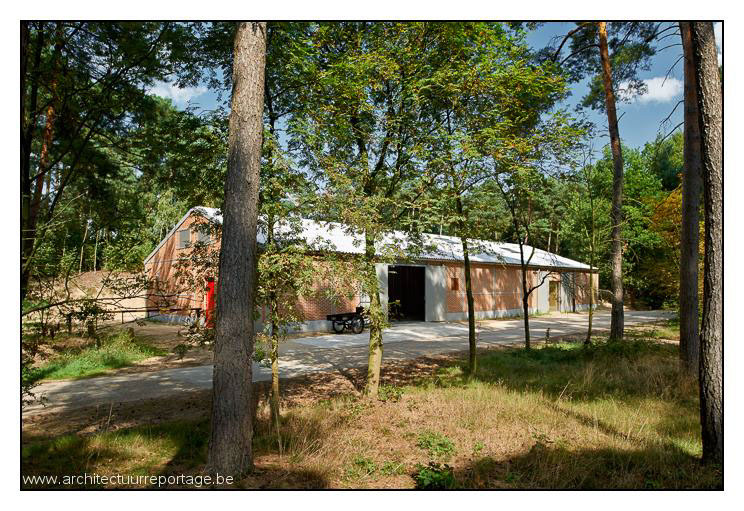 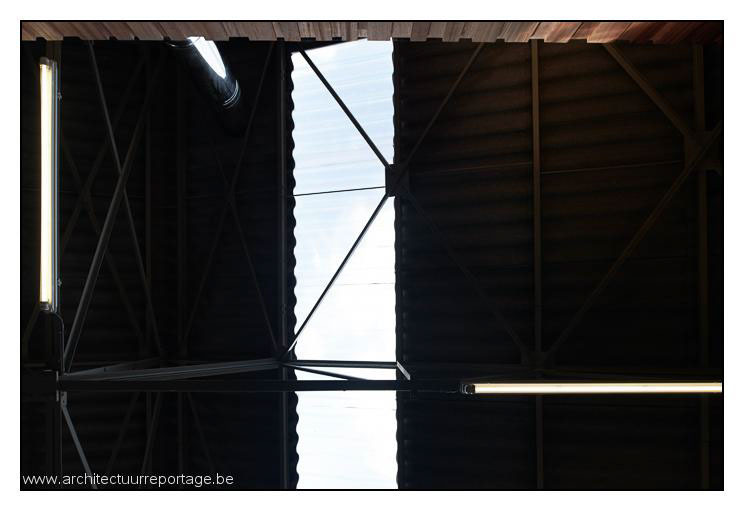 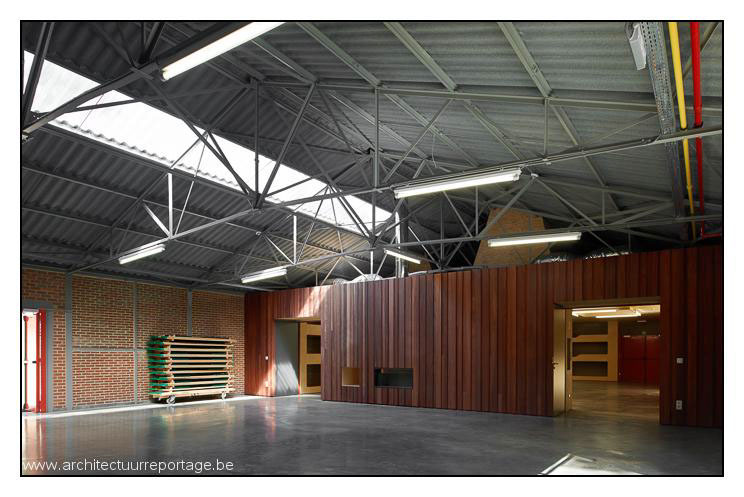 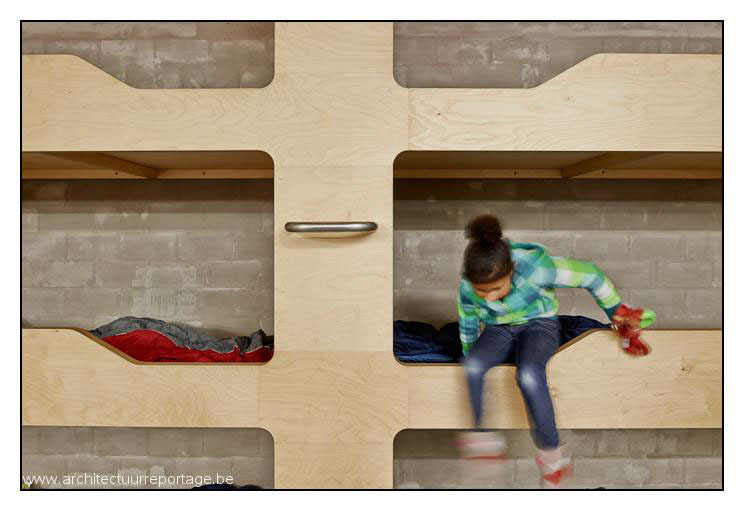 Under the steel roof construction of the existing volumes therefore TEEMA architecten added sleeping and kitchen boxes. 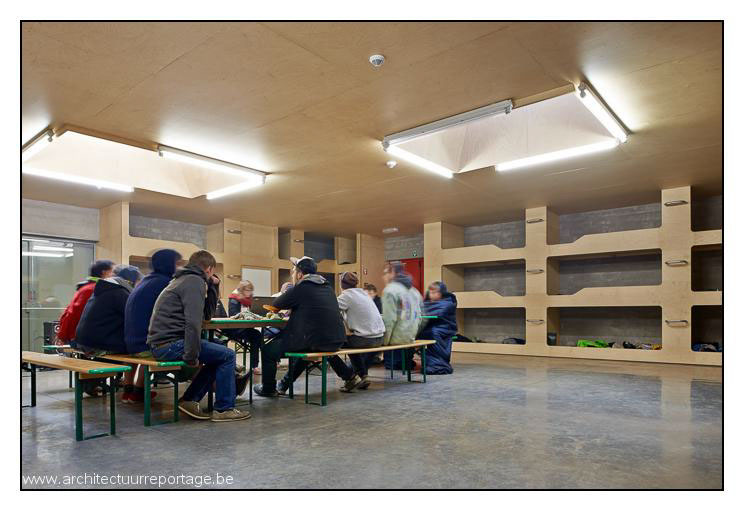 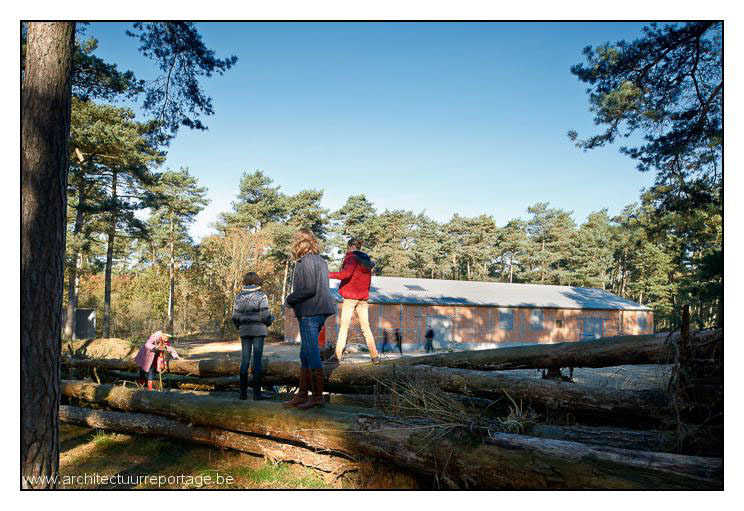 Hence the sheds are adapted for their new function, the temporary dwelling of loads of campers. 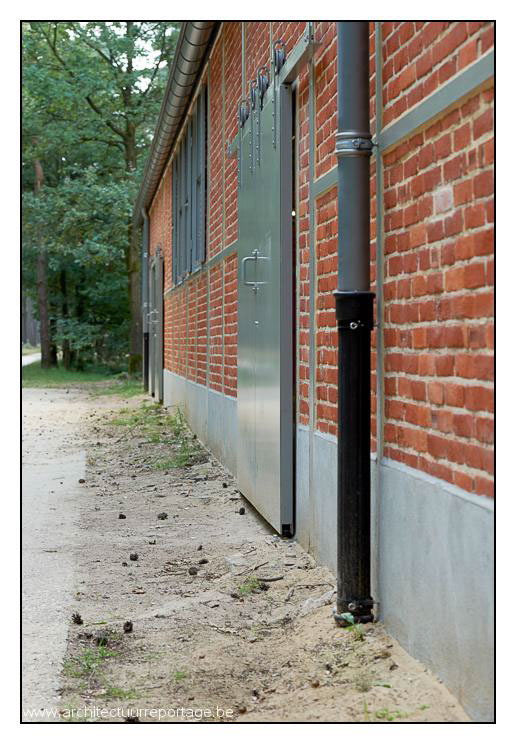 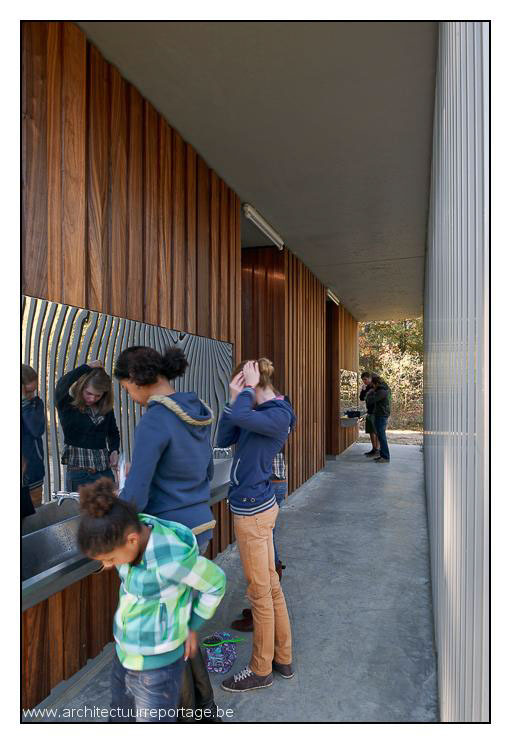 Simple sanitary boxes are added outside in between the threes. 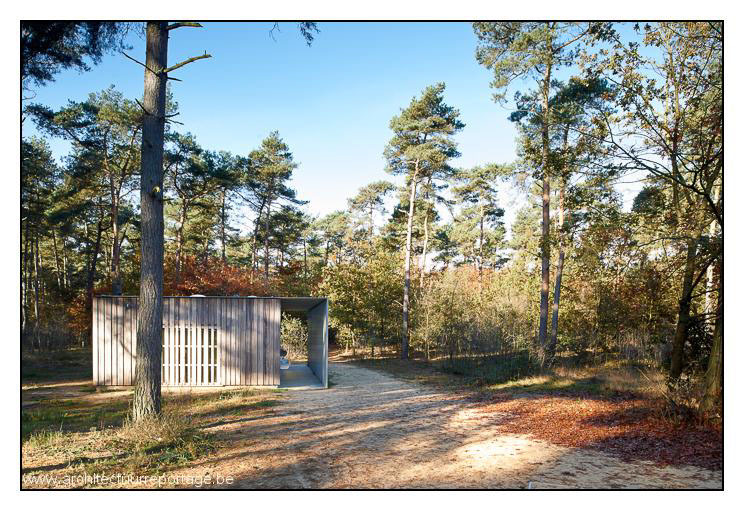 Serenely situated in between shed and camping ground they blend with the forest, taking into account the different contextual conditions of each of teh camping grounds. 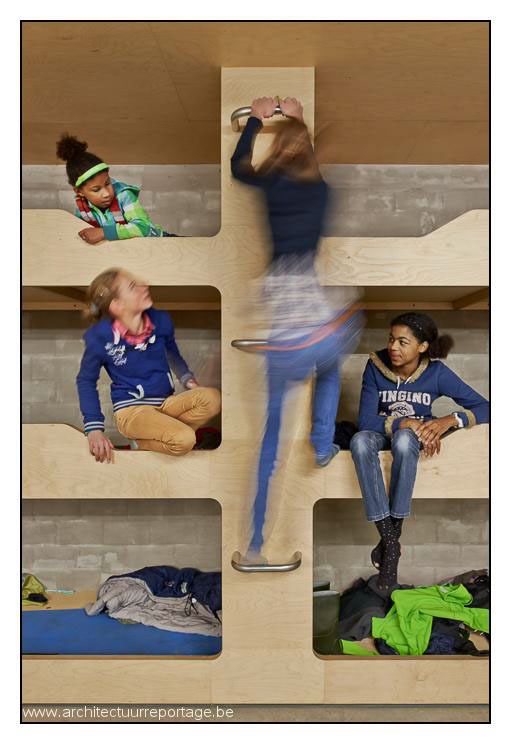 The light colour of the afrormosia wood of their skin and the transparency of the volumes enhance that effect. 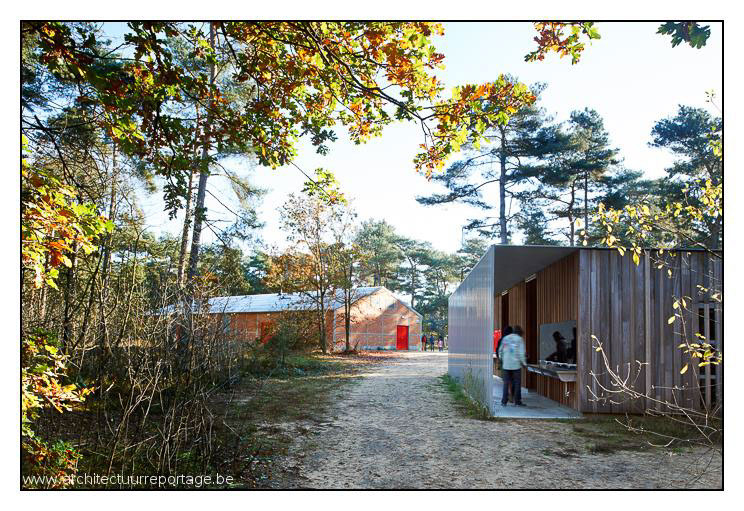 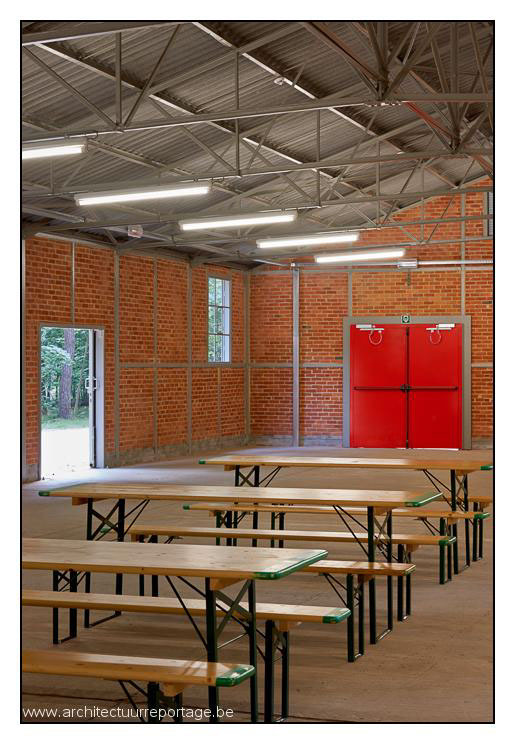 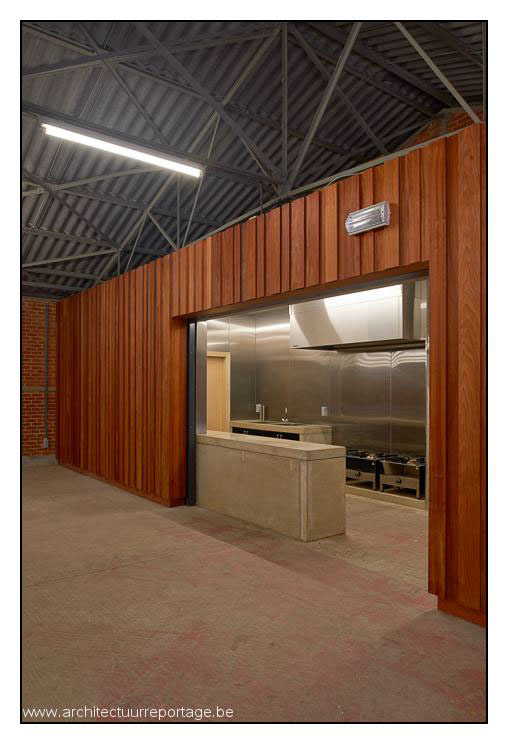 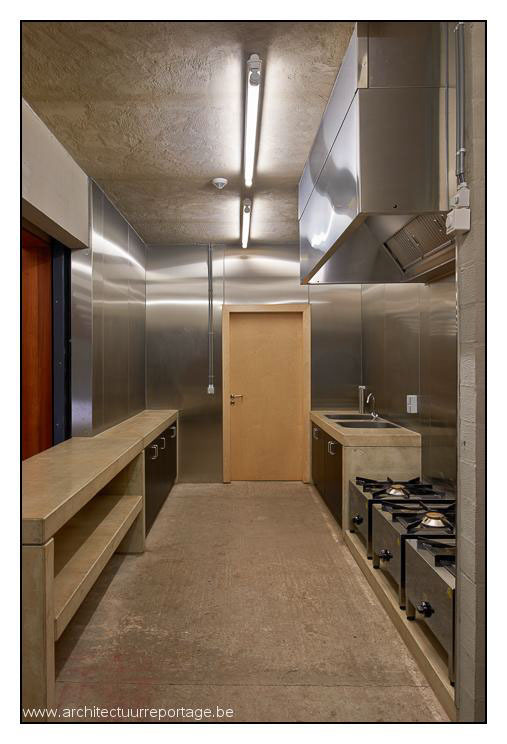 Alhough the tranformation towards camping sheds looks uncomplicated at first sight, diverse norms concerning fire safety and accesibility were not an easy task taking into account the specific conditions of the existing buildings. 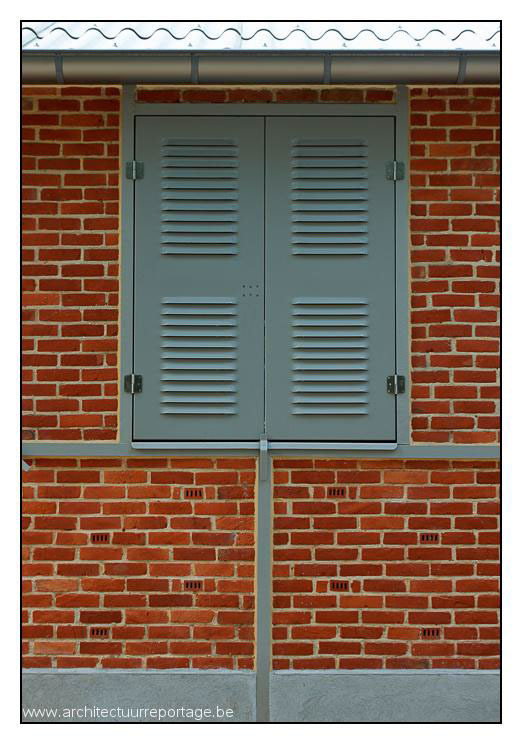 Behind apparently moderate interventions there are layers of inventive design decisions. 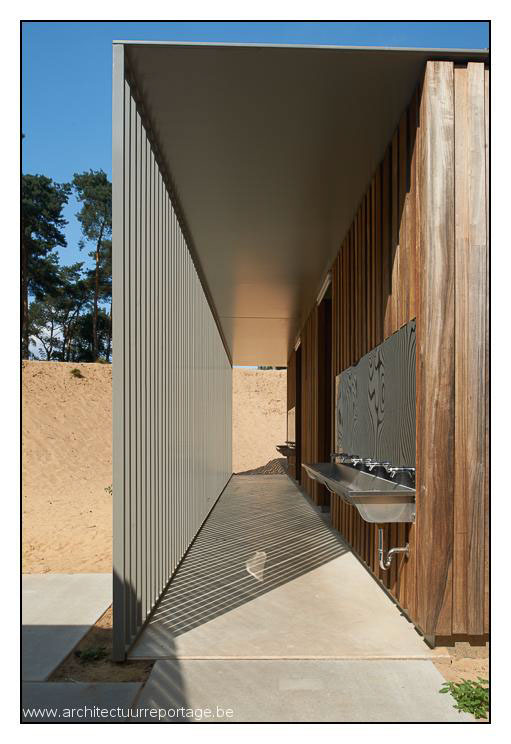 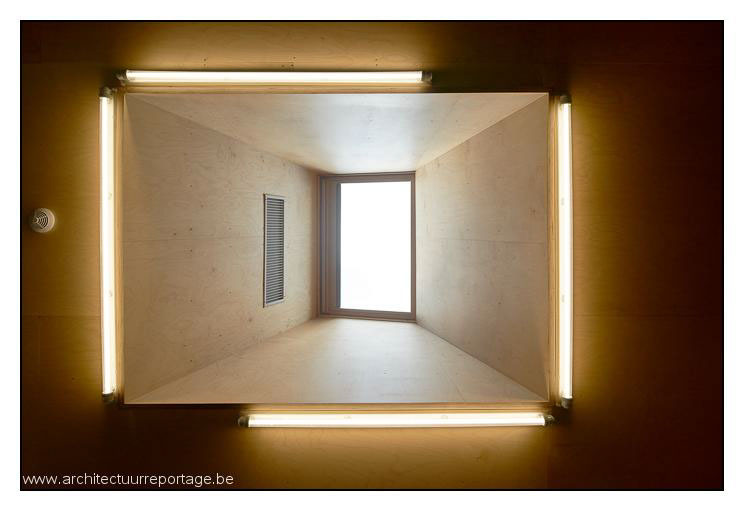 The light slopes which bridge the new levels, the roof lights in the sleeping boxes which search the sun light in between the steel frames and the steel screens which offer some privacy and transparency in the sanitary boxes are some of many examples of this complexity. 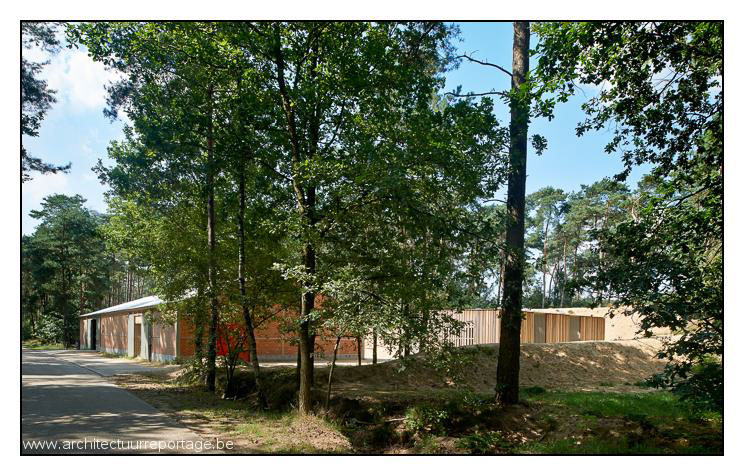 The project shows respect for the qualities of the existing structures and found some new ones based on what exists.